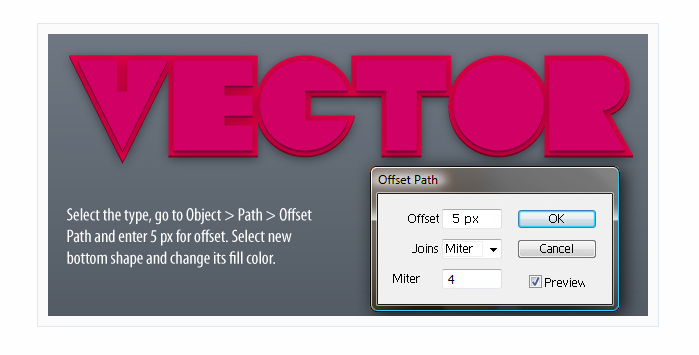 I'm attempting to go through a tutorial that uses a lot of the Pathfinder panel in Illustrator CS6. I noticed that my Pathfinder doesn't really seem to function the same way as in the tutorial for some reason, but I want to know why so I can complete it. One of the important steps, after creating some custom text shapes, is to use the Pathfinder command Add (which isn't in the panel itself but from the Effects menu) and then expand the text shapes to create one compound shape. But I can't seem to be able to do this, i.e. expand everything into one large shape, no matter what I try, and I can't proceed any further. Please let me know – is this some tick with the CS6 Pathfinder (I believe the tutorial is done with CS5), that you can't create one big, expanded compound shape out of separate, disconnected shapes? Or is it just my Illustrator that isn't functioning properly. I'm not a complete newbie to Illustrator but I can't figure out why. It looks like there might be some steps missing in the tutorial you are following, or it might just be more complicated than it needs to be? Select all of these new bottom paths, and in Path Finder hit the Unite button. After uniting, you will need to move the new compound shape to the bottom of the stack, using Object > Arrange > Send Backward, several times, because it will hide some of the letters if you don't. Select your touching shapes. Expand them. Remove stroke or apply same stroke to all. Select all and use Join in the pathfinder window. Now apply your offset. 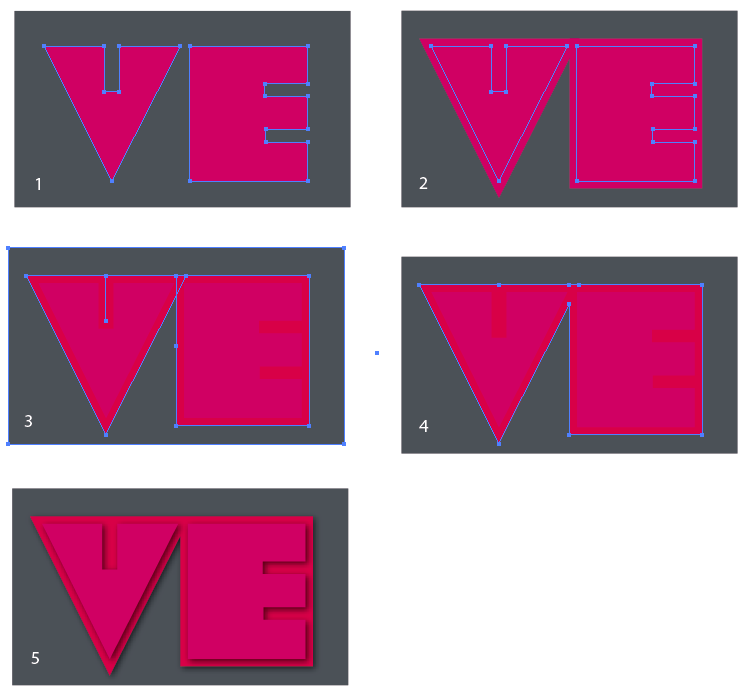 Based on top image you might lose the slots in the V and the E.